We elves enjoy a good sing-a-long round the campfire after a hard day of sifting and reviewing evidence. It’s totally embarrassing when the MentalElf insists everyone join in renditions of “lean on me” but it’s usually pretty fun and brings together even the elves that don’t socialise so well normally. Music can be a very powerful and emotive therapeutic tool when used correctly, and researchers and practitioners are discovering just how useful music based therapies can be for a range of disorders. A recent Cochrane review by Geretsegger et al (2014) investigated whether music therapy can help people with Autism Spectrum Disorder (ASD), a common neurodevelopmental disorder known to affect social interaction, language and communication, behaviour and imagination. The reviewers performed a systematic search of 12 different electronic databases and various sources of unpublished literature. They included all relevant randomized controlled trials in which children with ASD (including autism, atypical autism, Asperger’s syndrome, or pervasive developmental disorder not otherwise specified), were allocated to either ‘Music Therapy’ group, or to a control group (receiving either a ‘Placebo Therapy’, no treatment or standard care). The aim of the intervention had to be to improve social communication. Techniques commonly used in ‘Music Therapy’ can include free and structured improvisation, singing songs and vocalisation, and listening to both pre-recorded and live music. The review authors were careful to follow the strict and systematic method employed by the Cochrane Collaboration throughout. The searches found 431 articles of which 10 RCTs met their inclusion criteria. The participants in these 10 included studies ranged from 2 to 9 years old, with 80-100% boys. All 10 studies were relatively small, with sample size ranging from 4 to 50 participants. There was some variability in the exact type of music therapy delivered to each group of participants. Five of the studies used mainly receptive techniques (i.e. listening to live or pre-recorded music) with songs tailored to each child’s individual needs, for example using the song to tell a social story. The remaining five studies made use of interactional and relational aspects of music therapy such as improvisation, songs, and structured musical games. There was more focus on engaging the child in musical interaction, offering opportunities for the child to make choices and to initiate contact. 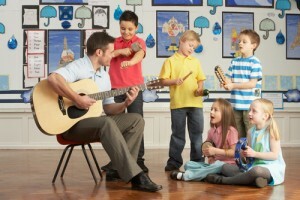 The meta-analysis found that music therapy was more effective than ’placebo’ therapy or standard care for improving social interaction, non-verbal communicative skills, verbal communicative skills, initiating behaviour (e.g pointing, giving an object to the therapist), social-emotional reciprocity, social adaptation, joy, and quality of parent-child relationships. The meta-analysis found that music therapy may be a promising intervention for improving the lives of children with autism spectrum disorder. The results of this review suggest that music therapy may be a promising intervention for improving the lives of children with ASD – but it is important to be cautious. At best, the results of this review have indicated a potentially useful therapy for children with ASD but the therapies are under-researched and still require more large scale, high quality research before any firm conclusions or recommendations can be made. Uncertainly about the randomisation of participants to intervention and control groups, which can be easily fixed with clear reporting. 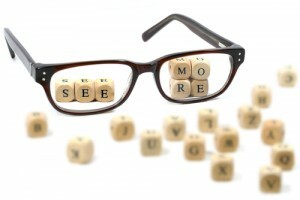 Study author’s often failed to blind outcomes assessors. It is impossible for children to not know whether they are getting music therapy or not so researchers can be forgiven for not blinding participants. The people who assess the outcomes though can easily assess outcomes while remaining unaware of which group a child was assigned to. This is considered good practice in trials of psychosocial interventions to minimise bias. It is also notable that none of the included studies reported any side effects that may be caused by music therapy. Every intervention comes with a risk of some negative event, and it is important for future trialists to consider this when planning their next study. Could some participants have experienced headaches after long sessions of music? Would music therapy still be a viable option for children with hypersensitivity to sound? Perhaps, some children may feel a decrease in their self-confidence if they feel the therapy highlights a lack of musical ability? More large scale, high quality research is needed before any firm conclusions or recommendations can be made. Music therapy may help children with ASD to improve their skills in primary outcome areas that constitute the core of the condition including social interaction, verbal communication, initiating behaviour, and social-emotional reciprocity. Music therapy may also help to enhance non-verbal communication skills within the therapy context. The elves in our woodland were excited to find this review, as the results support a potentially useful therapy for children with autism spectrum disorder that certainly deserves a great deal more attention, research and consideration. At present, this type of therapy seems to produce better results than standard care or similar forms of therapy where music was not used – providing the therapist is experienced and adequately trained. However, we would be happier still if the evidence base could be expanded to provide some more high quality trials, with larger sample sizes. 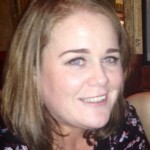 Dr Clare McGeady is currently a research fellow at the School of Psychology, Queen’s University Belfast, working on the PREDICTORS Study (Parent Resources for Decreasing the Incidence of Change Triggered Temper Outbursts), displayed by children aged 7-16 years with ASD or ID. Clare holds a PhD in psychology, working specifically on Applied Behaviour Analysis and Autism Spectrum Disorder (ASD). Clare also has over 15 years experience working directly with children/young people and parents, in various educational and community settings.